In business or industry of professionals, accounting and finance professionals are in high demand. 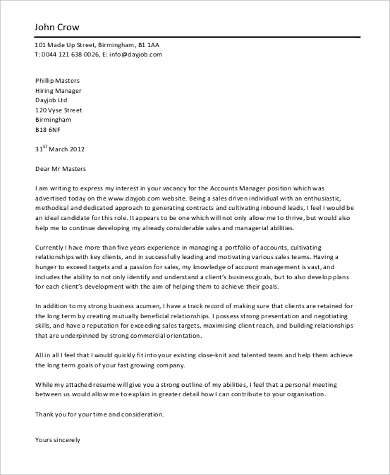 If you’re out hunting for a company with a good finance background or already found one, having a well-made cover letter would definitely put you ahead of the list. 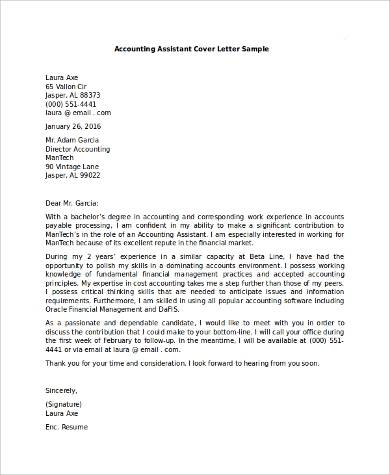 Provided below are samples of finance and accounting cover letters that you can download for free in PDF and MS Word format, and use as a reference material. 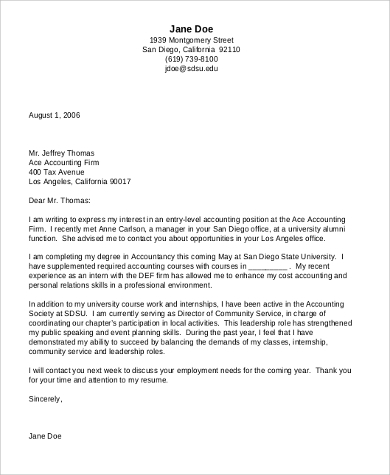 It is important to have a Sample Cover Letters prepared alongside your resume whenever you are applying for a new job. 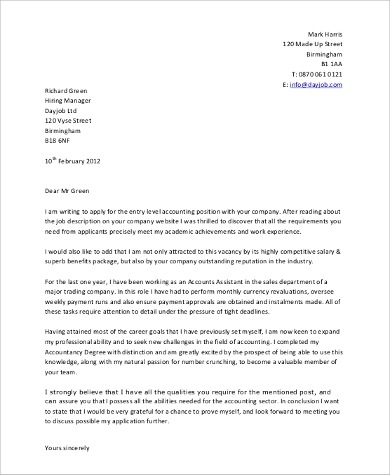 No matter what nature of job you are applying for, having a dynamic and well-made cover letter should help you get a better chance than someone who does not have. 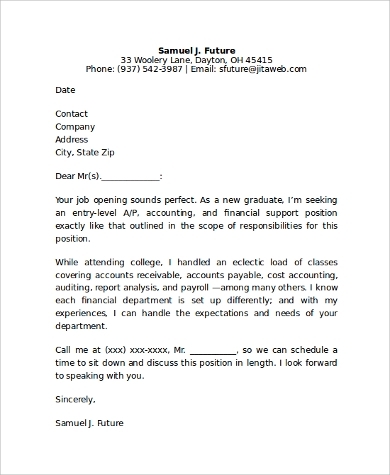 Writing a cover letter sounds easy, but it can be nerve-racking and time-consuming. 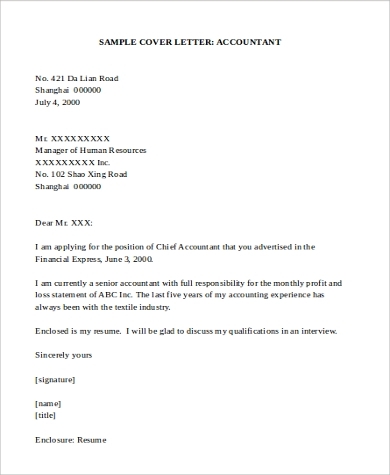 You have to remember that having a cover letter gives you a chance to impress and catch the attentions of the hiring managers and explain things that your resume cannot. It is vital that you know what to include in your content. If you are unsure on where to start and what to write, below are some key points that you can use as a guide. Be on-point. Avoid starting with lines like “I saw your ad” or “I am interested in your job opening for….” Start with a summary of your competencies and level of experience in the finance industry. It allows the hiring managers to know what to expect in your resume. Entice the employer. Catch the attention of your potential employer by indicating what you can do for them. Showcase what skills you have that you can contribute for the company or firm. Show your value. Illustrate your value by adding a list of accomplishments you have achieved related to the position you are applying for. Such list may also be included in your resume, but including it in the cover letter will assure you that the hiring managers would have seen it. Knowing the employer’s needs. Advertise yourself to your potential employer by telling them what they can benefit from hiring you and what you would accomplish when you get the job. This also allows the employer to have a glimpse of your enthusiasm and strength as an individual. Corrections to perfection. When you are done writing your cover letter, you should reread to make sure you have no misspells or forgotten punctuation marks. At this point, having a proofreader would be better. 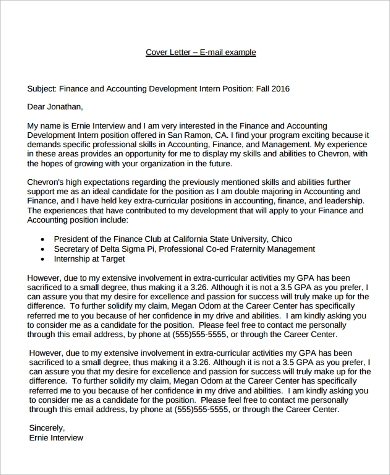 Don’t be afraid to ask someone to proofread your cover letter. 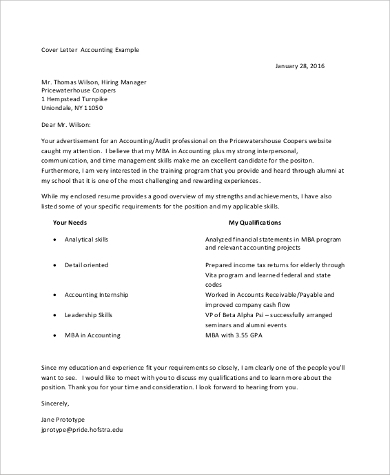 It is important that your cover letter is free of any grammatical errors as it is going to be your first impression to your potential employer. 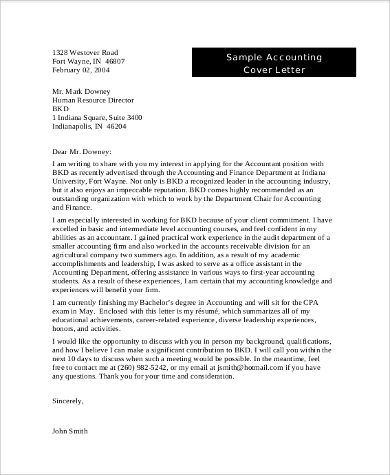 Check out Sample Accounting Cover Letters for more reference. Whether you are a fresh graduate aiming to be a professional in the finance and accounting industry, or someone who is looking for a better company, this article is for you to use as a guide. 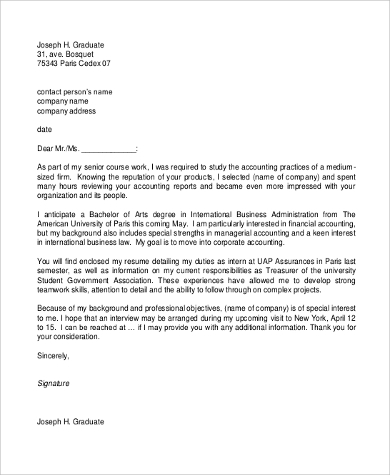 See also Basic Cover Letter Samples to help you get more familiarized.